For patients with sudden sensorineural hearing loss (SSHL), vertigo may be negatively associated with recovery of hearing. 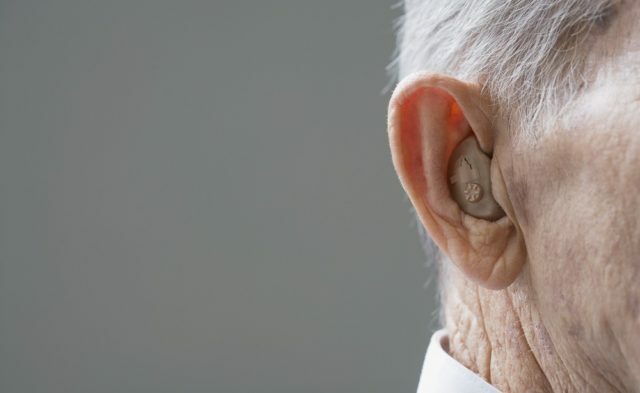 HealthDay News — For patients with sudden sensorineural hearing loss (SSHL), vertigo may be negatively associated with recovery of hearing, according to a review published online June 21 in JAMA Otolaryngology-Head & Neck Surgery. Huiqian Yu, Ph.D., and Huawei Li, M.D., Ph.D., from Fudan University in Shanghai, examined the correlation of vertigo with prognosis of hearing variables in SSHL using data from 10 studies. A total of 4,814 unique patients were identified; 1,709 had SSHL with vertigo and 3,105 had SSHL without vertigo. The researchers found that for each study selected, the Newcastle-Ottawa Scale (range of 0 to 9) score was greater than 7. The recovery rate of hearing was 42.13 and 60.29 percent in the group with vertigo versus the group without vertigo. There was a significant correlation for vertigo with a worse hearing recovery (odds ratio, 2.22; 95 percent confidence interval, 1.54 to 3.2). In subgroup analyses of the grading system using the Siegel criteria and systemic corticosteroid therapy, similar results were obtained. Within the subgroup receiving intratympanic corticosteroids, there was no significant correlation of vertigo with the prognosis of SSHL (odds ratio, 1.78; 95 percent confidence interval, 0.64 to 4.94). “Current evidence revealed that vertigo may be negatively associated with hearing recovery in patients with SSHL, except in a subgroup that received intratympanic corticosteroids,” the authors write.